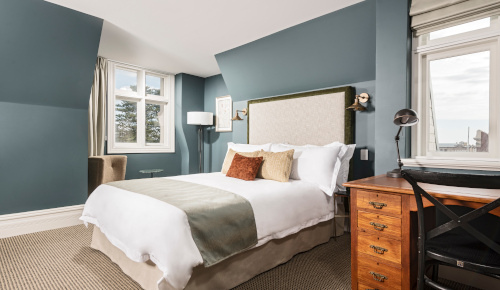 Set in the eaves of the building these are beautiful, individually styled queen rooms. They feature locally designed and made furniture,which adds to the luxury feel. 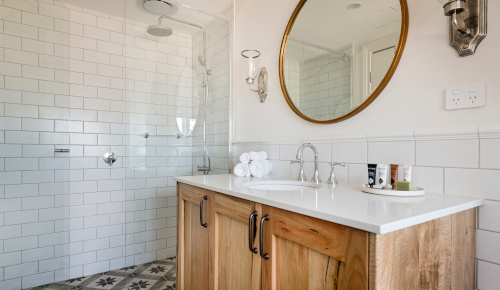 The good sized ensuite bathrooms brim with character and charm whilst the windows in both the bedrooms and the ensuites give picture perfect views across the rooftops of Fremantle.